We finally got that downhill we’ve worked so hard for these last couple of weeks. And it was worth the wait. 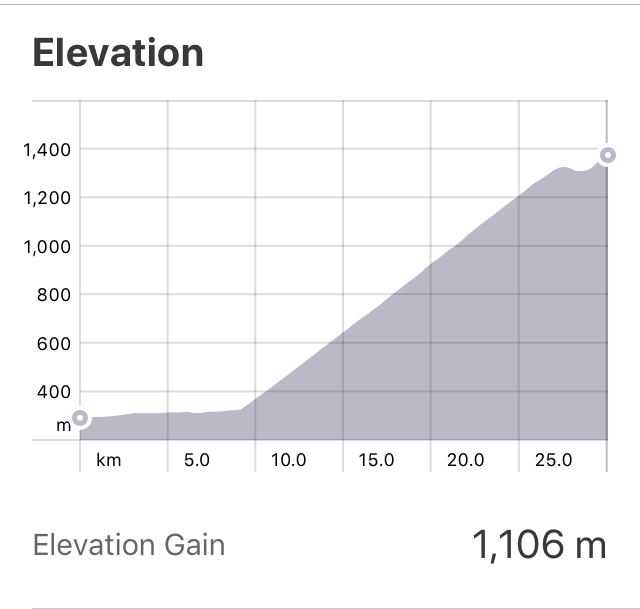 It was also the longest downhill either of us has ever done before; we descended 2,000 m over 49 km. We went from minus figures and down jackets to sweltering heat and t-shirts in about 2 hours – madness. 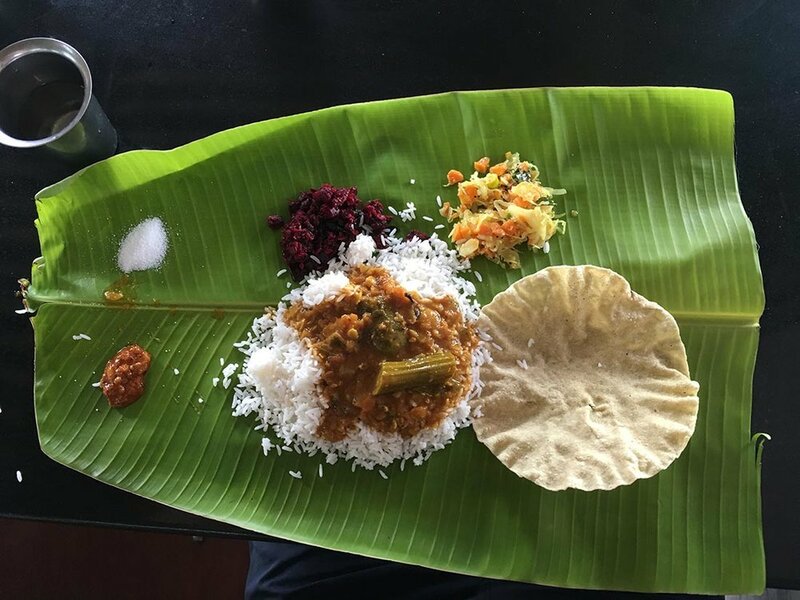 We followed National Highway 181 from Otty all the way to a little town called Mettuppalaiyam, where we stopped to gather our thoughts – and scoff a second breakfast – after virtually flying down the side of a mountain. The road was busier going down than it had been going up, which required far more concentration – and last-minute braking. Just like cycling at home, cars seemed to think us cyclists were holding them up and were desperate to get round us. But then they’d reach a hairpin and have to crawl around the bend, which we could have otherwise flew around. It was a dangerous game of leap frog for a good portion of it. But aside from that, it-was-awesome. It was the evening after that beaut of a downhill, when we realised we had no more climbing left in India. That was our last big up and down done. We were gutted. The route from here would take us slowly towards sea level – 400 m over 400 km kinda slow – where it became completely flat for around 200 km. We weren’t quite ready for that monotonous flat riding. Not yet. As if the mountain gods heard our woes, a climb just came to us. I wish I could say it was in a dream, but sadly it wasn’t as whimsical as that. We spotted it on some tourist boards in our hotel reception in Salem. Yercaud Hill Station, which sits at 1,420 m, was only 25 km away. We didn’t have to think twice. The very next day it had been added to our route and we headed off for another 1,000+ m climb. Just as we left the hustle and bustle of Salem centre, we bumped into the president of The Salem Cycle Club (above, left). He was out for his usual morning ride, which didn’t include the climb, but he gave us the lowdown and waved us off. We also got speaking to two more cyclists while we were taking some pre-climb photos (above, right). They said that the climb is very busy with cyclists on the weekends. It’s great to think cycling is such a popular hobby in India. As we began crawling up, a silver fox powered past on a slick road bike. If this professional-looking chap was going for it, it was sure to be a good ride. The route change did not disappoint. From Salem to Yercaud it was 30 km with 1,106 m of elevation. 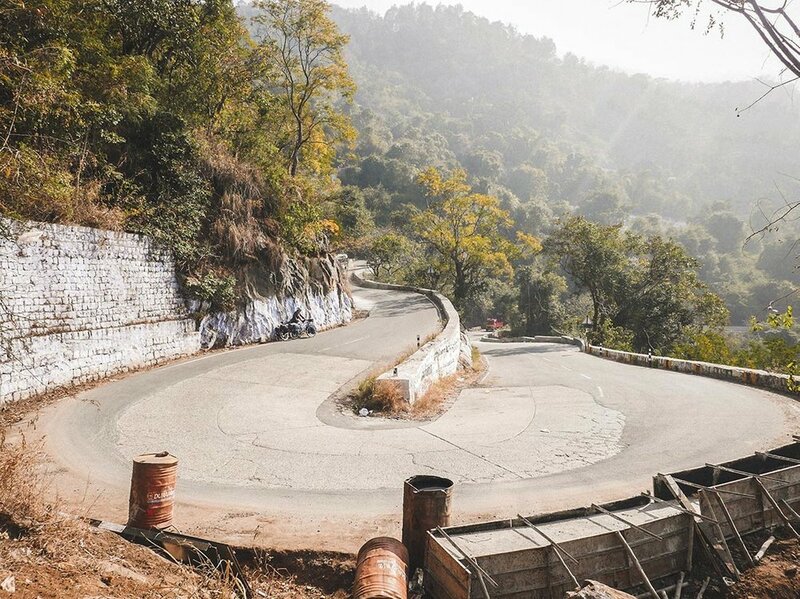 The climb itself was 1,036 m over 20 km, which included 20 impressive hairpin bends. I mean proper hairpin bends – they even counted down as you climbed higher. It was the perfect last climb. Except for forgetting snacks, which is so unlike us. We were pretty hungry and were relieved to find some chai and fruit vendors after the 12th hairpin. It’s funny how things work out. Climbing up to Ooty last week, we loved cycling through all of the coffee farms and vowed to go on a tour – although the opportunity never presented itself. As we were climbing up to Yercaud, we saw signs every few kilometres for Cauvery Peak, a coffee farm with tours and a museum. Now the coffee gods were coming through with the goods. 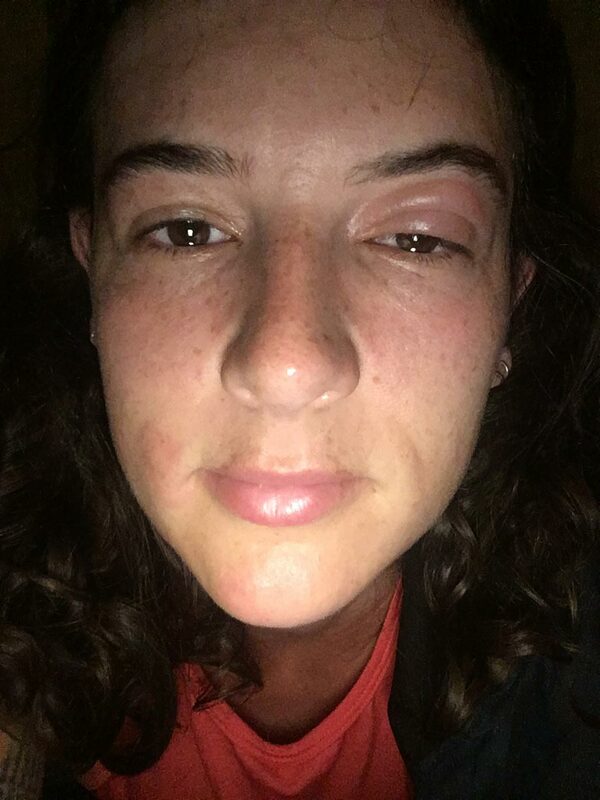 A mozzy bite on my eyelid was not a highlight of this week. We booked another night in Yercaud and visited Cauvery Peak the following day. It was a full day’s excursion with a 30 km, 520 m round trip cycle just to get there, not to mention the 2.5 hour tour. We were pooped by the end, but found it fascinating. Once planted, a coffee bush takes around 3 years to produce berries and has a lifespan of around 40 years. 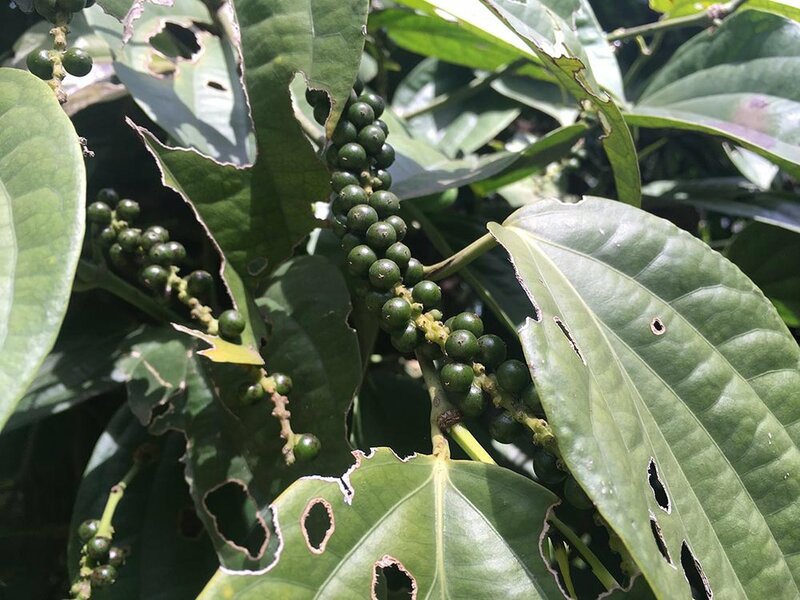 Coffee berries like a little bit of sun and heat, but need the cooler, foggy climate of high altitudes to ripen. They plant various other trees and plants around the plantation for essential shade, and to also sway the taste of the berries. For example they plant orange trees to give a hint of citrus flavour. Cauvery Peak, which is 257 acres, has been with the same family for 60 of the 150+ years it’s been running. They also have two other plantations, which total a further 163 acres. They have 200 pickers picking daily between January and early March. The pickers are paid per weight of berries picked (sounds like a tongue twister). After a full day of picking, the processing begins at 5pm – sadly when tours end. This is when the berries are graded. The naff stuff – would you believe? – gets turned into instant coffee, husk and all. The good stuff is washed, husk removed and then graded again into high and medium quality beans to be sun-dried before roasting. Cauvery Peak also sell un-roasted beans to coffee companies to roast it their way. We’re sure he said they sell to Illy Coffee. Some coffee companies add chicory to ground coffee, in order to bulk it out. It doesn’t have a taste, or affect the taste of the coffee, it’s simply a cheap way to generate more for profit-driven companies. We looked at our Cafe Coffee Day coffee we have going at the minute, which is 110 rupees (£1.20) for 200 g, and it had 30% chicory. Cauvery Peak’s 257 acres produce 128,500 kg of beans per year. They do not add chicory. They sell 1 kg of the top grade stuff for 1,020 rupees (£11). A quick sum with those numbers equals a lot of money made. On the tour we also learnt that this is a pepper plant.The berries had such a peppery smell. And a pepper plant is a climber. Here they generally use silver oak trees for the pepper plants to climb. 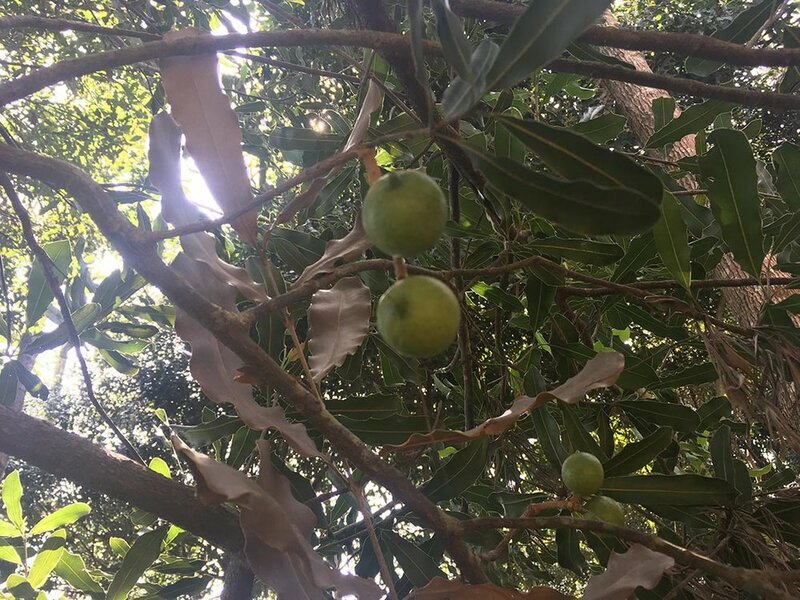 Macadamia nuts come from trees. And the bark of a bay leaf tree smells like cinnamon. Mind blown. The extra day in Yercaud to visit the coffee farm was at the expense of one of our planned days off in Pondicherry. Although I floated the idea of upping our kilometres and skipping a rest day to claim that day back. Dan reluctantly agreed, so we’ll see how we fare next week. Let’s see if we get our three days off in a city famous for French cheese and good wines. We got a good head start with another epic 1000 m downhill from Yercaud. Newer PostWeek Forty-Two: Did Someone Say Cheese? Older PostWeek Forty: Coffee, Climbing and Cold Temperatures. Two Out of Three Ain’t Bad.